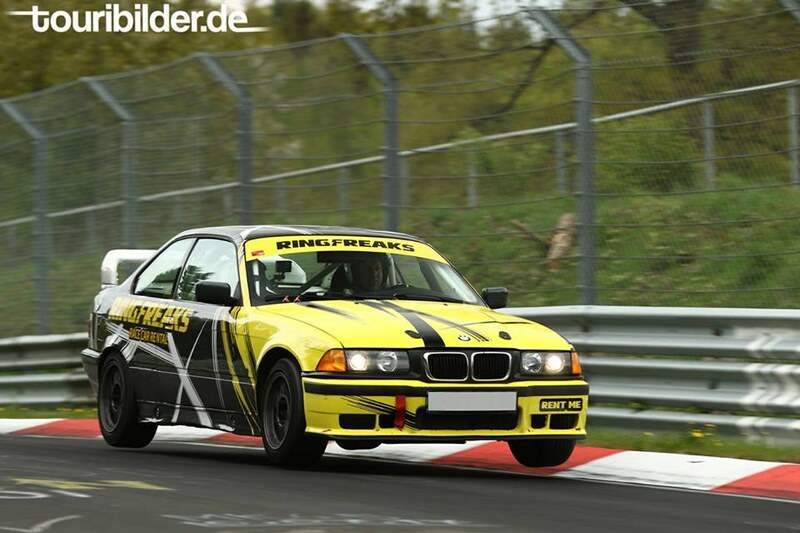 We have raced with many different cars but BMW E36 has the biggest fun factor of them all. 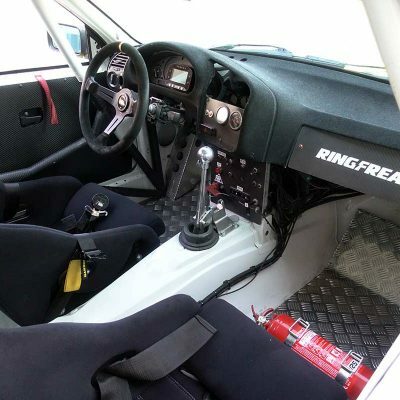 It is light, raw (no electronic helpers), very reliable and simply drives like a go-kart. This is why it was so popular racing car during golden motorsport times in the 90s and it is still very common car in the motorsports even today. 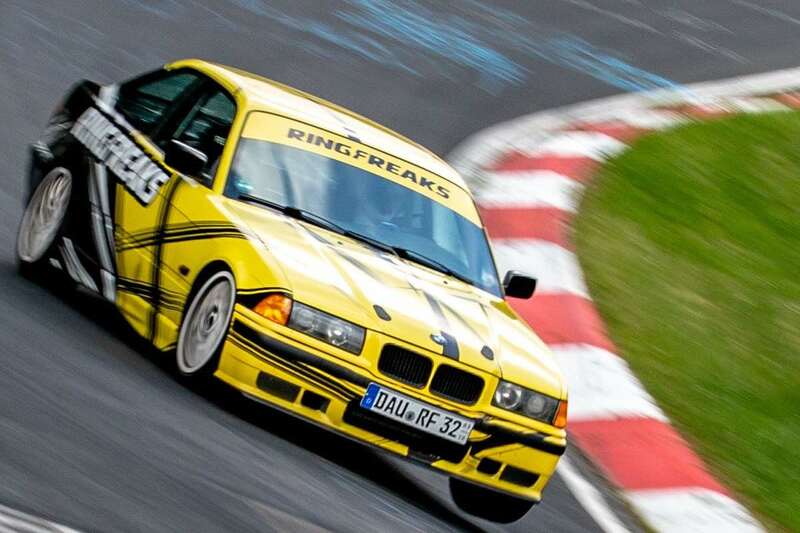 These particular cars were professionally prepared for VLN endurance racing, one of them has participated in two Nürburgring 24h races and even won 2nd place in class! Same car also won 1st place in H4 class 2 out of 3 RCN races in 2016. 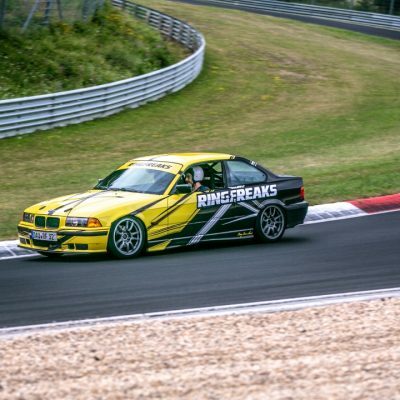 It is road legal so you can take it for tourist drives on the Nürburgring Nordschleife, also rent for track days or even go for racing. 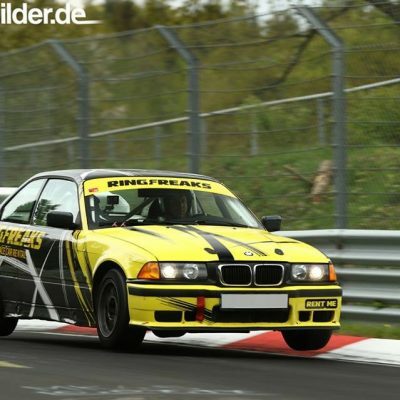 If you drive really well this car can easily do Nürburgring BTG under 8 minutes. Enough to overtake much more powerful street cars. 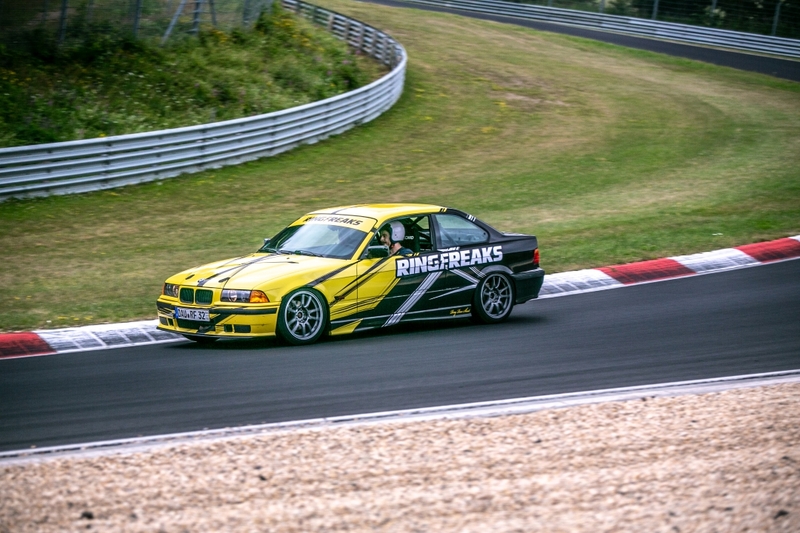 It’s all about cornering speeds, not just being fast in straights. 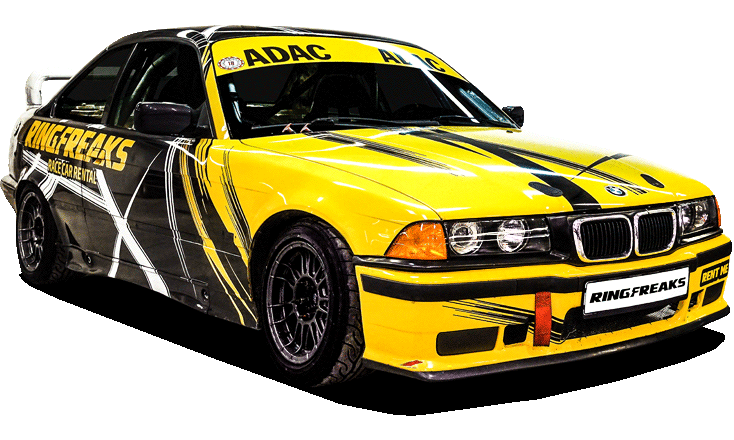 Keep in mind – this car is build for racing. Very “analog” car without any electronic helpers. She does exactly what you ask for. We recommend it for more experienced drivers. After all – you will get HD onboard video with AIM data logging overlay at no extra cost. Additional lap € 59. If you decide to drive additional laps you we simply will charge for them when returning the car. 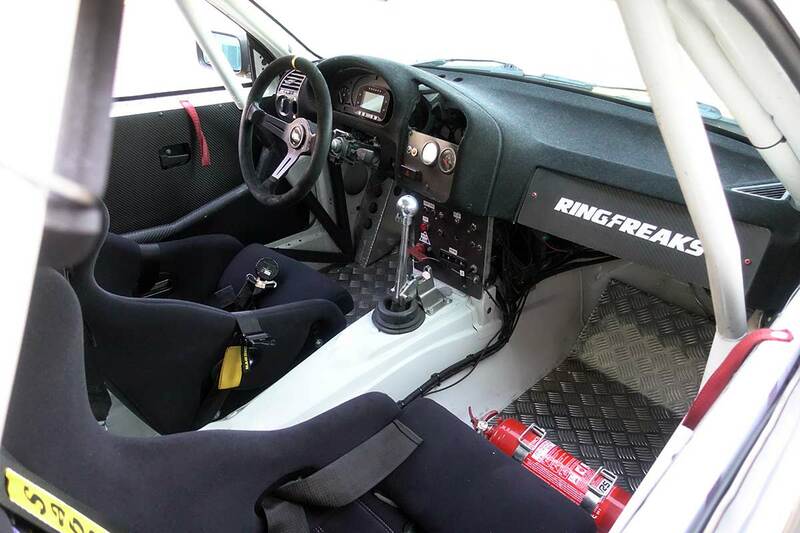 Not included in the price: fuel and entry fee to track day or tourist drives. We can offer you insurance for extra cost of € 149. This would reduce car damage excess cost to € 3000 ex. MwSt.